Rob: Hey, Kevin, welcome back to the show. Now, we’ve really had some great episodes. We are talking about sugar. We are talking about carbs, fats, and protein. How about we kind of bring this all together? Dr. Kevin: Yeah, absolutely, Rob. After some people have been listening to the things we’ve spoken about…the episodes in the past, we are talking about the effects of proteins, carbs, fats, and how they…in fact, have a major impact in your health. Rob: A lot of people have to be scratching their heads and saying “what can I eat”? It is the most pertinent question because we are saying don’t eat this, don’t eat that……..what’s left? And so, for a lot of people I think it helps if they can actually get something tangible, and some ideas of things that they can feed their family on a regular basis that are going to be healthy that fit within the realm of what we’re talking about, trying to keep those sugars, caffeine, carbohydrates down. Getting the appropriate amount of protein and eating the good fats and staying away from bad fats, all in one ball. How does that work? Maybe we could look at what a typical daily meal plan would be. Dr. Kevin: Absolutely. Because our diet or the generally poor diet that most North Americans ingest plays such a major role in their health concerns and health status. If you can eat a healthy diet on a regular basis, many people are shocked to find out that chronic diseases can just go away. What I want to talk about is just a sort of across the board, healthy way of eating for your three meals a day, and then your snacks. Give it a try and see what you think. Let’s start with breakfast. I know we talked before Rob about the typical breakfast is toast with jam and maybe some Corn Flakes or some Cheerios or Shreddies with some milk and maybe a little sugar on top, a coffee and orange juice, maybe some pancakes, occasionally. Those are all things that really fly in the face of what we’ve been speaking about. And so, what are some alternatives to those kinds of foods? We touched on this briefly in protein. Eggs are really one of the healthiest foods you can eat. It’s contrary to popular belief, and I know we’ve spoken about this many times. Rob: You said up to five eggs per day, where I know like some doctors have told me, don’t have more than two eggs in a week? Kevin: Yeah. That’s just not based in science. My rule of thumb is, don’t eat more than five eggs a day. Basically, its tongue in cheek it’s just saying don’t worry about eggs eat them, they’re great for you. When we look at it as a whole food, eggs are the most perfect protein on the planet. You don’t get a ton of protein, you only get about six grams of protein per average sized egg, which is still decent. But there’s a lot of nutritional value there, there is a lot B vitamins, there is Choline, there are really good quality fats, there is lecithin. We’ve spoken about cholesterol and eggs do contain cholesterol, but the evidence clearly shows that when you eat eggs and you eat the cholesterol from the eggs, it does not typically increase your LDL or bad cholesterol at all. In fact in many cases I see it increases HDL, the good cholesterol. Eggs, because they can contain some cholesterol in them, the knee-jerk reaction in the past has been “if eggs contain cholesterol that’s going to increase your blood cholesterol” – is just not true, the evidence clearly shows this in virtually all cases, however there are a couple of rare exceptions to this. But right across the board in virtually, every case it’s completely safe. Like I said, its great protein. Eat your eggs soft boiled, hard boiled, one of the best ways of preparing them is poached – frying eggs is OK. If you fry eggs really quickly, if you’ve got it on bachelor heat when you are cooking them, they get that gristly brown denatured protein on the underside and that’s very difficult to digest. Rob: Like you’re going to start on medium heat. Dr. Kevin: Yeah medium usually works well. If you have to flip them, that’s fine. Just keep it on a medium temperature. Again, you’re trying to get the eggs to come out so that the white is completely white and not covered in that brown gristly sort of denatured protein. Scrambled eggs, same thing. Omelets, same thing. You cook them really quickly and they’re going to be brown on both sides. If you can just use a lower temperature, it’s a better option. If you’re in a real rush, soft boiled egg, you can do it in four minutes or so. It’s a great food and it’s an excellent tasting food, too, and it sustains you for the morning. If you have a coffee and juice and a piece of toast for breakfast, there’s nothing there that’s going to sustain you. You’re going to be hungry and searching for food in a short period of time. What I recommend with eggs if you’re going to put something with it, consider salsa. You can get salsa that’s low or no sugar. If you make an omelet, you can throw the salsa into the omelet. You can also put any number of vegetables into your omelet or you can mix vegetables into scrambled eggs. If you can use salsa or veggies it adds more body to what you’re eating and you can change it up a little bit. Eggs are great. Meats. I recommend if you can, if you’re going to use things like bacon and sausage and ham that you try to get the organic if it all possible. You can buy turkey sausages, turkey bacon, chicken bacon, kinds of meats that don’t have a lot of nitrates in them and a lot of preservatives. My personal favorite for breakfast is eggs with a salad. I know a lot of people think that’s bizarre. Getting vegetables with a good quality protein on a regular basis is just probably the healthiest thing you can do for your body. Vegetables give us a lot of phytonutrients, our macro and micro‑minerals and they’re just chock full of nutrition. We should try to eat vegetables at every opportunity. If you have eggs, throw some vegetables in with them or just have some vegetables on the side, raw or salad or you can steam or grill some vegetables alongside your eggs. Other options that I frequently recommend for patients are protein shakes. Getting a decent quality protein powder that doesn’t have sugar added to it is imperative as some are loaded with sweeteners. The best liquid to mix it with is unsweetened coconut milk, hemp or almond milk. Cow’s milk contains lactose (sugar) and should be avoided. Maybe a handful of berries can be mixed in with it. A lot of protein powders contain 20 to 25 grams of protein per scoop. Again, a great way to start off your day. It takes you two minutes to make it. If you’ve got a blender there is nothing to it. Rob: Could you put some vegetables in that shake? Dr. Kevin: Absolutely. A lot of people depending on the type of blender they have, they can throw kale or some spinach or just some green vegetables into that, and make it a green shake which is a great way to go. Avocado is great in a shake, as well, but you really want to make sure you throw that protein powder in there. I think that’s where a lot of people fall down with their shakes is that they make it from orange juice or they use some sort of juice, and then, they throw in some berries and other fruit and then throw in a little bit of kale. It’s mainly sugar, water and a little bit of kale. If it’s soy milk you want to use I recommend it being non‑GMO. If you go with a shake, you’ve got a great quick meal replacement which can also be used if you have to have a snack. One other thing that I recommend is to make your own granola. Granola usually is made of grains, and its usually got honey or sweetener in it and for that reason, it doesn’t work out so well to start your morning off. If you can use chopped nuts and seeds ‑ pine nuts, pumpkin seeds, sunflower seeds, hemp seed, chia seeds, even sesame seeds. You mix that with some chopped up nuts, almonds, macadamia nuts, pistachio nuts, cashews, hazelnuts. Chop that all up into bite sized pieces. Mix it all together. Throw some unsweetened coconut milk or almond milk on top of that and add some fresh fruit if you want to. And again, you’ve got a good protein based meal to start the day off that is a lot like having a granola or a cold cereal. Rob: Without all the carbohydrates that you’re going to get, obviously in the cereal, but even in some of the other pre‑bought granola that would come with, as you said, the honeys and those things like craisins or foods that come with a lot of sugar added. Dr. Kevin: That’s it, and remember we spoke a few episodes ago about how much sugar we ingest on an annual basis. That’s around 120 pounds a year ‑‑ and this is where some of these hidden sugars sneak in, as in what we’re eating for breakfast. A lot of these packaged breakfast cereals are just chock‑a‑block full of this sugar, and this is one way to avoid all that and still get that good hearty breakfast that’s going to make you feel good, give you the nutrition you need for the day, and you won’t feel hungry in another hour and a half. Those are just a few suggestions for breakfast. Snacks are things that are usually recommended. Try not to eat snacks. Try to eat just three meals a day. I know that kind of flies in the face of what a lot of the pundits out there talk about. They say have five, six, small meals a day. That’s not a healthy way to eat. We’re intended to eat three meals a day. What I say to people is depending on how active you are ‑‑ personally, if I’m in my office working a 12 hour day, I’ll typically eat two meals, no snacks. That’s all I’ll eat for the day, because I’m not active. I’m not doing anything. I don’t need to be sustained by three meals a day. Typically, for the people who are eating five small meals a day or five meals through the day or six, you’re actually promoting a disease process, and that mainly is blood sugar dysregulation and insulin resistance. For people who have blood sugar problems, the last thing you want to be doing is eating five, six, meals a day. Try to eat three meals per day, and we’ll get into this in a little bit more depth in future episodes here. If you have to snack, and I recommend not doing it, but if you have to, some of the healthier options would be veggie sticks, nuts and seeds, preferably raw if you can get them raw, unsalted if you can. A little bit of salt is not the end of the world. Salads make great snacks ‑‑ just a small salad, something you would take in a little container to work, if you need to. Use that as part of your lunch or a snack if you have to. Bean salad, tossed salad, coleslaw, shredded broccoli salad, spinach salad, Greek salad, obviously without the cheese if you’re sensitive to dairy products, Caesar salad, preferably without the croutons and again without cheese if you’re dairy sensitive. Salads really make the world go round. They’re just great for us, and we really should be trying to eat a couple of salads a day if we can. Other snack ideas are avocados. Avocados are a really healthy food, kind of like eggs, you can’t eat enough of those. Fruit in limited qualities without overdoing it, fruit is good for you in moderation, and also smoothies as we spoke about before. Rob: I’m sure there are some fruits that are better than others, because you mentioned in the smoothies you can have some berries but you didn’t say bananas. What’s the difference there? Dr. Kevin: It’s a great question because the really high sugar foods you really want to try to avoid, and the worst ones, first of all, candied fruits ‑ that goes without saying. Dried fruit ‑‑ dates, figs, raisins, Craisins, those kind of things really high on concentrated sugar. They taste sweet for a good reason. It’s like eating candy. You really want to try and avoid that. Melons have the highest sugar content or the highest glycemic index of pretty well all fruit ‑‑ watermelon being the absolute worst. It really is not a healthy thing to eat. And then, the tropical fruits ‑‑ the main tropical fruits are banana, mangoes, papaya, pineapple, guava. You really should try to avoid those. I know people say bananas are so good for you, they’re high in potassium. There’s lots of things out there that are high in potassium. Bananas are full of sugar and your body breaks it down into sugar quickly. You know if you eat a banana, you just don’t even need teeth to do that. You can gum it down and you can swallow one of those things in five seconds. To eat an apple, it’s going to take you a while. You’ve got to bite into that. You’ve got to masticate that. You’ve got to chew that thing up. It’s got to be broken down in your system. It’s going to take some time to get the sugars out. Banana is not like that, and that’s why bananas are really not a healthy thing to eat and you really should avoid those. The healthiest really are the berries. Obviously, some people have problems with berries ‑‑ strawberries being one of the ones people can be allergic to. But assuming that’s not the case, berries are probably, blueberries are one of the healthiest foods in the planet ‑‑ probably the second healthiest food on the planet, as far as I’m concerned. Those are great. Dr. Kevin: Broccoli. I would say broccoli. Broccoli, kale ‑‑ those are right at the top of the heap, I would say. Apples are very good. Pears, plums, cherries are fantastic, citrus fruit, assuming again, you don’t have any problems with those. Some people are allergic to citrus fruit. Those are good. I think if you keep that in mind, it really does help, again, keep the high sugar foods out of your diet if you’re avoiding the high sugar fruits. Rob: Just how you explain that sounds like a lot of the fruits that are permissible or good choices are more northern fruit that would be grown in orchards and on trees, and I think you mentioned some of the southern of tropical fruits are the ones that tend to have higher sugar. Dr. Kevin: That’s very true, and I think you’ll see also any fruit that’s very ripe, like a very ripe banana, you know how sweet that tastes, and that’s the same way with most other fruits that are overly ripe. It can be higher sugar content. You just have to be a little bit careful with that. You’re right, the fruits you’re going to see in the tropical areas, close to the equator, they’re the ones that typically give us the most problems when it comes to blood sugar. That may mean using something like canned salmon, preferably not farmed. You take some canned salmon, a little bit of mayonnaise. I recommend a full fat, no sugar mayonnaise, like Hellman’s, for example. You can get the organic ones, which are even better, but for the average person out there, who’s just shopping in a regular grocery store, Hellman’s full fat, not the light. The light has more sugar in it. Rob: And the one with the olive oil? Is that OK? That’s Hellman’s with a green lid. Dr. Kevin: Yeah, that’s good. That’s a good one too. You’ll see that when you look at how many grams of sugar there is and the full fat for mayo, they don’t really have any. Certainly, what we have here for Hellman’s has no sugar in it. Take some mayo, mix it up with egg or with salmon, even chicken and make a chicken salad on top of a whatever salad you like underneath or the vegetables. It’s the simple quick way to get good quality food that doesn’t take a long time to make and you can take as very portable. You put it in a container, you take your salad dressing separate from that, which is preferably like an oil and vinegar type salad dressing. If you are going to use salad dressing, extra virgin olive oil is one of the best. It’s a very simple way to eat instead of the usual sandwich, wrap, pizza, those kinds of things. You’re just asking for trouble by eating these things. Unfortunately, for a lot of us, lunch means a sandwich, and it’s just not a healthy way to eat. If you can get into the mode of eating vegetable with protein and salads, these are ways to do that. Your best way to do. Supper, your evening meal, I recommend trying to eat fish, if you can eat it, three time a week. Again, you don’t want farmed. An easy one that’s readily available there is sole. You can usually get that frozen, if you’re land locked, if local fish is not available to you. That’s a pretty solid, good quality protein. Fish and then chicken, duck or turkey, preferably organically grown if you can do that. Wild meats are fantastic, but if you use beef, port, lamb, bison, preferably pasture fed. Along with that, if you want to go with things like pastas, there are now better quality pastas out there. A lot of people think better quality pasta just means non gluten based pasta, like a rice pasta or a corn pasta. Not necessarily the healthiest thing to eat. There are things available, like black bean pasta, there is something called Miracle Noodles, that are available out there. There are kelp noodles. These are things that aren’t really high carb foods, but they still give you the mouth feel and the taste of a pasta if you can a pasta sauce on that, it tastes great. That’s an option in luau of the typical pasta. Also spaghetti squash. If you cook spaghetti squash and you for it out, it actually looks a lot like spaghetti. You just throw spaghetti sauce on top of that however you like it and you got an alternative to your typical pasta. With whatever protein you’re going with, I recommend the salads or vegetables. Trying to stay away from potatoes, yams, sweet potatoes, because they are very starchy, causes a lot of problems in the carb department. It converts to sugar. We’ve talked about starch and how that affects us negatively. You are trying to stay away from the grains as well, like rice, which is a common fill in for most people. If you have to go something that’s a grain, I recommend quinoa. It’s got a lot more protein in it. It’s a better option. It depends on what the situation. If your diabetic, I don’t recommend quinoa, I recommend staying away from all grains, if you’re diabetic. If you need some sort of dessert I recommend backed fruit or fresh fruit salad, fruit cocktail, or just an apple or handful of berries, or some nuts or seeds. It’s fairly simplistic way of eating, but it’s a healthy way to eat. You eat that way and it stabilizes your blood sugar, it lowers your insulin levels, increases your serotonin levels, I think we spoke about before. Some people say it’s a little boring, a little repetitive, but there’s lots of things you can do within a realm of those ideas that can work really well for you. Rob: Kevin, that’s great. What a solid meal plan. As you just said, there are all these other things that we’re so used to eating, but what you’ve given us, there’s still lots of options there. Dr. Kevin: Absolutely, Rob. The other thins is legumes. Lentils, chick peas those are great and you can use lentils. You cook up lentils and use them like rice or if you’re making like a stir fry, do your stir fry on top of lentils. Do it on top of chick peas. It’s a better option. A lot more protein involved in those foods than you ever going to get from rice, which is basically very little protein in rice. Hopefully, this opens some horizons for people out there that don’t typically eat this way. Maybe they’ll experiment and if they do, I think they’re going to see that they start feeling a lot better by eating this way on a regular basis. Give yourself a month eating this way. Nine times out of 10 people feel noticeably better. I’ve seen many chronic disease processes gone by just changing you diet and eating something similar or can do what we are talking about here today. Rob: I’m sure you could use this meal plan that you’ve talked about in some of your treatments, right? More specific situations or elements? Dr. Kevin: Absolutely, because eating this way stabilizes blood sugars. If you’re a diabetic and you eat this way, you’re going to feel a lot better. You’re going to see much better blood sugar levels, blood glucose and hemoglobin A1C numbers. You’re going to feel better and for a lot of people, I’ve got hundreds and hundreds of patients, who aren’t taking their meds. Don’t have to take their meds anymore for their diabetes, and are technically not diabetic anymore, just by making dietary changes along the lines of what we’re talking about here today. Rob: Kev, this is awesome. I think that’s probably a good place to wrap up. Next time, what we should do is tackle the grocery store or shopping at Costco. Now, we got a good meal plan. Now, we have to go fulfill that. How does that sound? Dr. Kevin: Yeah, that’s great, Rob. I think that’s where we should go next. Rob: Great. Thanks for listening to the “Your Best You Today” radio show. If you like what you’ve heard today, please let someone else know about it and maybe we could help them as we’ve helped you. If you have any questions at all, feel free to leave them below the episode here. We always love you to rate our podcast on iTunes. Thanks for listening. 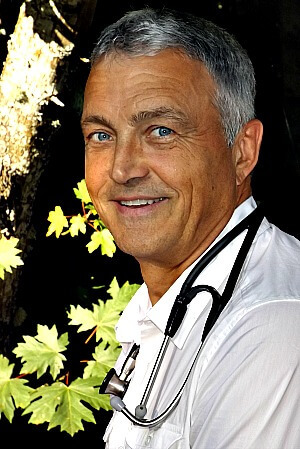 To contact Dr. Kevin or find out more about his services and fees, visit his website, www.DrKevinJackson.com. Your identity will be held in the strictest confidence.